A carefully etched portrait of your pet on beautiful black granite. Excellent detail. This is the perfect way to memorialize your beloved pet. 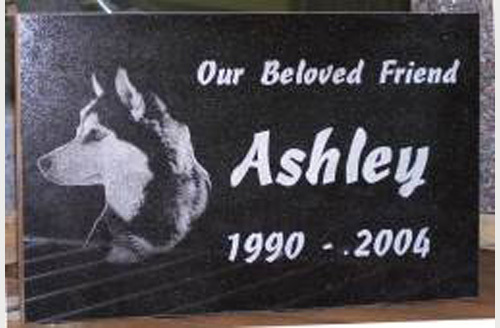 You can upload a digital photo of your pet and we will etch it on a black granite marker. The dimensions of the marker are 16" by 10" by 2". Allow 12 weeks for delivery.